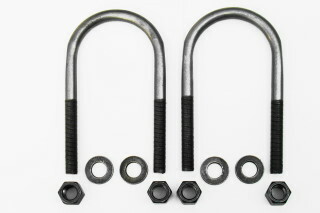 Grade 8 Round Bend U-Bolt Kits Come With (2) U-Bolts, Deep Nuts And Thick Washers. Replacement U-Bolts Should Always Conform To OEM Specifications. DO NOT Use A Grade 5 U-Bolt To Replace a Grade 8 U-Bolt.